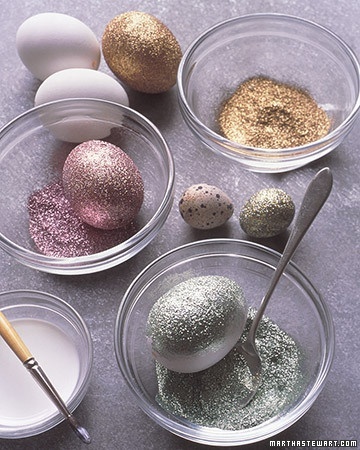 Liberally paint eggs with craft glue and roll in shallow bowls of glitter. 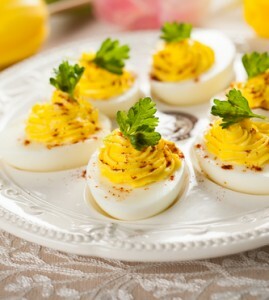 Let the eggs dry for an hour. 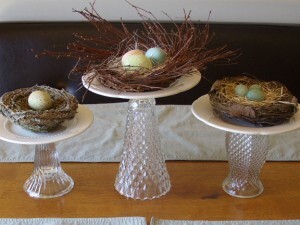 Once dry, place the eggs in the bottom of a shallow bowl and add fresh flowers around them, creating a nest. 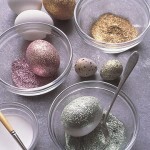 These pretty glitter eggs also make a lovely addition to to an Easter Lily plant. 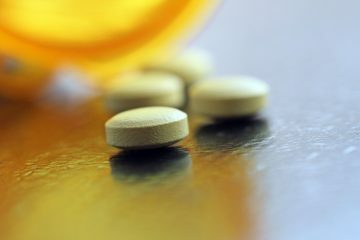 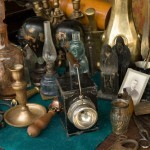 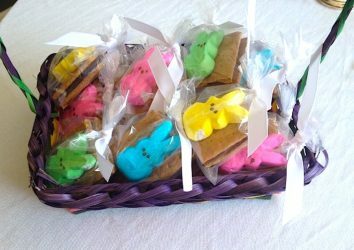 Another option is to display these in a glass jar. 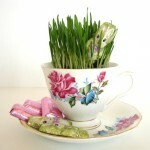 Wheatgrass is one of the most commonly displayed plants during Easter because it’s so easy to grow. 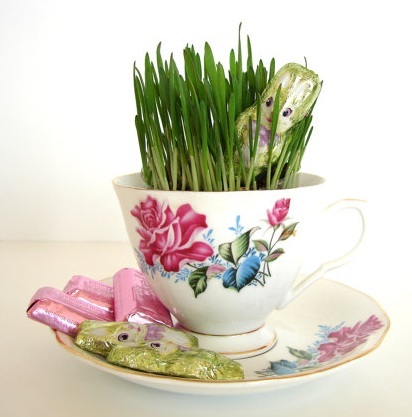 This tutorial, provided by Keep It Simple, Sister, arranges this sprouting plant in gorgeous vintage tea cups and also shows you how to create a beautiful, lush wreath. 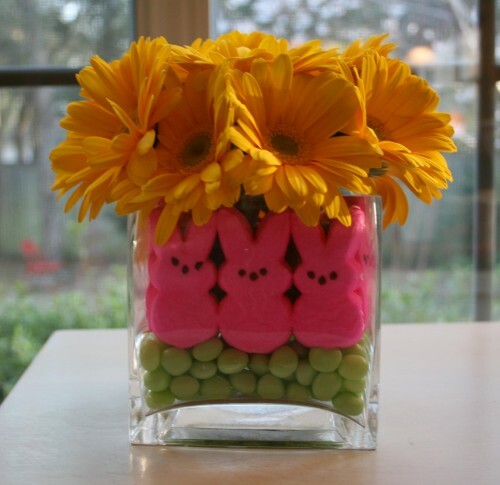 These adorable centerpieces combine Peeps and jellybeans in a vase of tulips. 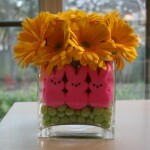 Have no idea how Peeps and tulips could be in a vase of fresh flowers without getting completely soggy? 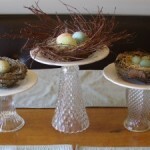 The secret is a vase within a vase. 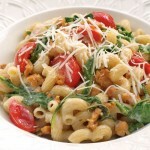 Saucy Mommy has the tutorial. 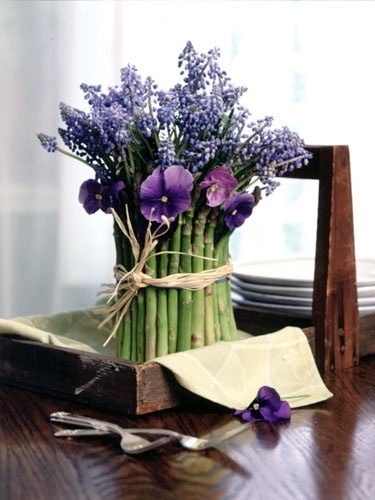 Create a fresh spring bouquet by bundling asparagus stalks around a vase, and tie with twine or ribbon. 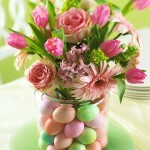 Place the bouquet in a tray or dish to form an easy centerpiece. 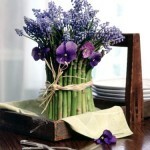 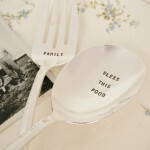 Add to the table decor with a bundle of four asparagus stalks at each place setting to hold a name card. 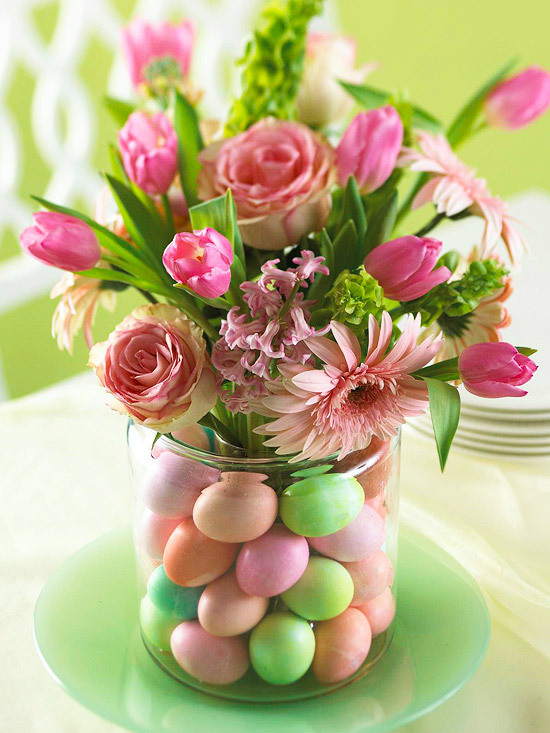 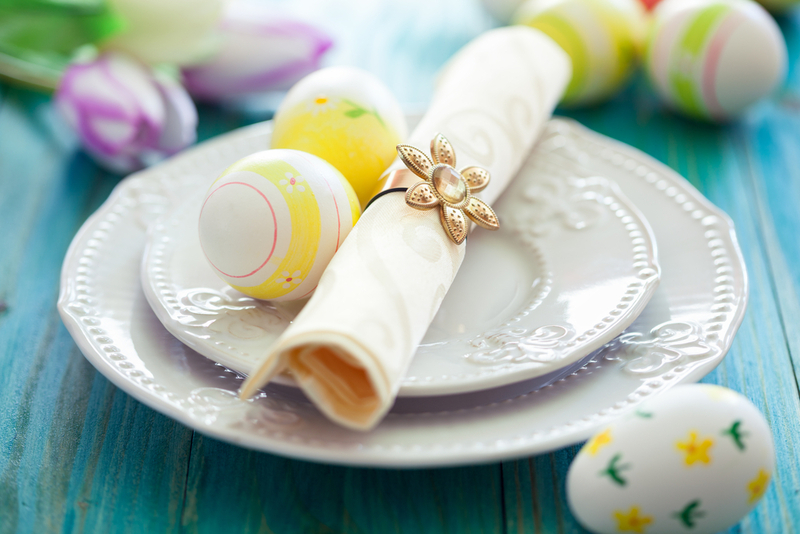 Take the tacky multi-colored plastic Easter eggs meant for penny stuffing and spray paint them Robin’s egg blue, ballet slipper pink, and white to achieve a more natural motif.